Take a Road Trip: The Rejuvenating Effects of Downtime - Eat. Lose. Gain. We Americans tend to overlook the miraculous healing effects of vacations and downtime. Taking time for ourselves can seem indulgent. And praise is given to those who work, work, work! So that is why I make myself take a road trip at least every few months. I need to get away from all the pressures of life and just focus on nature and serenity. The thing that I love about a road trip is that you can do it at a moment’s notice. You don’t need to start planning months ahead of time. You can just decide you need a break and leave. All you need is a day, a long weekend, or an opening on your calendar. And then you get in your car and you’re gone! Wherever you live, there has to be places for you to go. So get in your car and get moving! Downtime is seriously important for your health. If you’re a workaholic like me, that might be horribly hard to hear. There always seems like there’s something else that needs to be done. But look. You can buy everything organic. Use products in your home that are non-toxic. Spend your life at the gym. But that only goes so far. Stress is a killer. And if you don’t take time to de-stress, your body won’t be happy. Stress causes inflammation. This is the same type of inflammation that occurs when you consume pesticides or eat a bunch of sugar. There’s no getting around it. Downtime is essential for your health. And a road trip is the perfect opportunity to take a small chunk of time, and focus on you. Bring sunscreen for your face, even if you’re travelling in winter. You’ll probably be spending lots of time outdoors and the sun has an impact any time of year. Pack your car with healthy snacks. You probably won’t have access to the same quality of food that you have at home. And a little indulging on vacation can be a good thing. But you want to balance that with healthy choices. A small portable cooler is perfect for a road trip. Bring lots of layers. Temperatures can change suddenly and you don’t want to be stuck feeling too cold or too hot. Bring a portable cup and lots of treats for Fido. Make sure the kiddos are wearing seat belts. Check to see you have the car seat installed properly for the little ones. You can never be too careful. Cars.com provides lots of great information and can help you see how your car measures in a car seat safety check. So if you have little ones, you’ll want to check this out. Make sure your car is in tip top shape to get moving. Has it been a while since you’ve gotten your car serviced? Cars.com also has lots of great info to get your car road ready. So get on the road and get moving. This road trip is for your health for goodness sake. Your body needs it! So pick a location on the map and get going. Take a day, a weekend, a long-weekend or even a whole week. Just do it! And remember to check out Cars.com to get lots of great information for getting on the road in style! 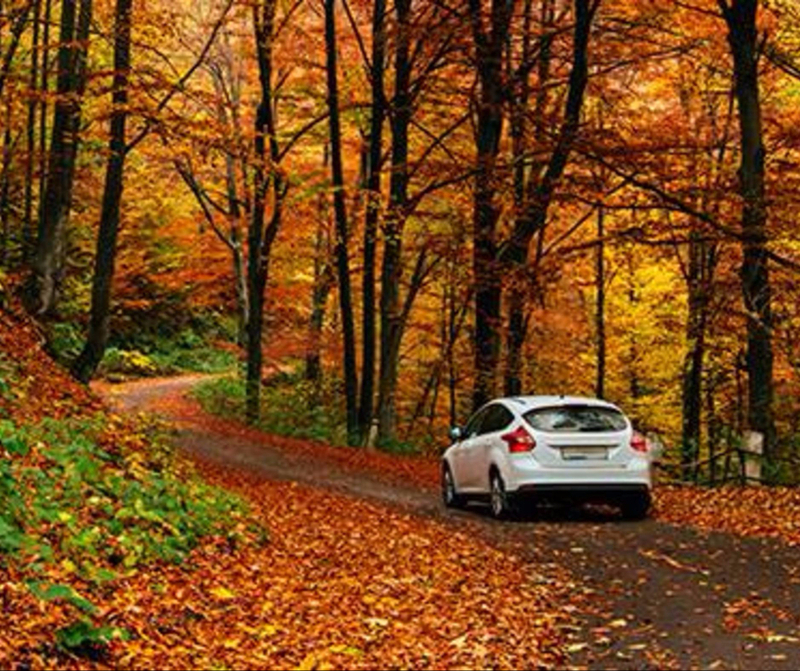 May your road trip be a safe, enjoyable, and rejuvenating retreat from your everyday life! I love road trips and long walks. Really gives me time to clear my head. It’s been a while since my husband and I went on a road trip! I think the last time was summer before the school year started! I would love to go someplace quiet. Just to relax and rejuvenate! Even as a kid, I always loved road trips. My mom and I used to road trip from Florida to North Carolina a few times a year. Now I enjoy doing them with my Husband and kids. Taking vacation time is so important for your mental health! I love road trips and definitely don’t do it enough! Where we live, we are a few hours away from some really great places in almost any direction we choose to leave the house. We’ve done a few road trips, and healthy snacks are always on the top of our grab and go list heading on the door. I love road trips- they’re all about embracing the unexpected! We love road trips! We love the open highway (having a convertible helps, too!) Our next one is to Nashville in a couple of weeks. So looking forward to that one! Road trips always help me clear my head, especially when I’m driving along the coast. Awesome tips for rejuvenating!! Road trips are always memorable. My dream road trip is to be able to drive down a winding road along the coastline during late afternoon until the sun sets. How relaxing that would be! As a vegan I always have to take my special snacks and foods with me and i think doing so on a road trip just helps to keep me away from junk food and staying healthy! 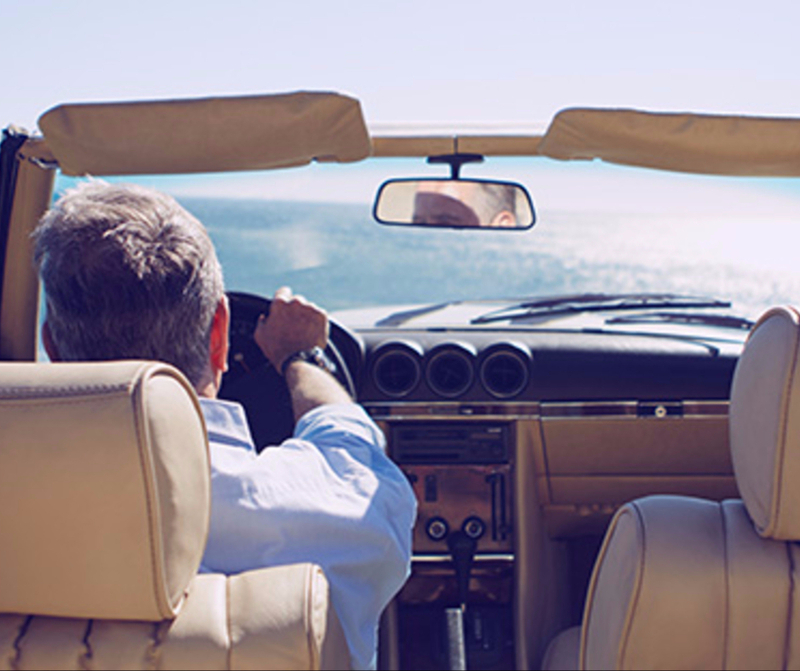 these are great tips and reasons to get behind the wheel and go on an adventure! I love a good road trip. It’s so much fun to jump in the car and get away for a day or two. You never know what you might see or what adventures may await you on the road. This is a great post! I need to share it with a few people. We’re heading into winter, but my goal next spring and summer is to go on my road trips. Road trips are so important for me because they’re a huge stress reliever! I think everyone should consider hitting the road and going wherever when they’ve had a stressful week/month! Road trips are the best! You never know what’s going to happen and there’s something so exciting about the spontaneity of it all! A road trip! Something I haven’t done in many moons. I’d love to pack my hubby up and go on a long road trip once our kids are older and we can! So much fun. I love your tips on healthy snacks. I need to keep these in mind for my office, late night sessions in there are often accompanied by mindless snacking. I too think road trips are amazing. Unfortunately, my husband hates driving for more than 30mins anywhere. I love the idea of getting in the car to discovering new places, shopping in new places and simply getting away from the mundane. Great post. 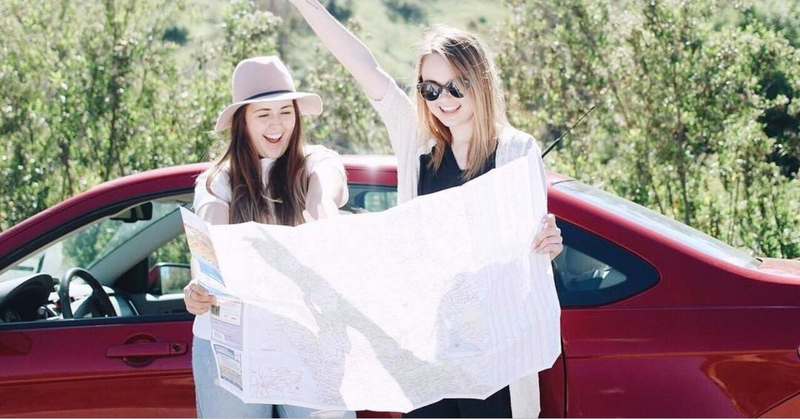 we are in dire need of a road trip but snacks are always an essential in our car! Down time and travel is so healthy for you! We just had a conversation in our home where we realized in just two weeks we have travel scheduled every single weekend for six weeks straight. I’m not sure that much time away from home is good for you but it’s going to be fun! Thanks for this tip… Road trip. I love road trips. I just need one since I have been loaded with my work. I have a love/hate relationship with road trips. If they are 4 hours or less, I am in! But I love your tips on how to make it more enjoyable. I absolutely love road trips, there’s something about a road trip that helps disconnect. You know I love road trips! This summer it was our east to west trip, but at least a couple of times a year we get a drive in to Washington, DC. It’s only about five hours and a great city to simply relax and be a tourist in. We live near some parks, so walking in the woods can be a road trip for an afternoon! Those are great healthy road trip snack ideas. I always tend to head straight for the redvines and m&ms on long drives but I’ve been trying to bring healthier snacks lately!